The MJLinks Marijuana Attorney Directory is a premium resource that allows business owners and others to tap into MJLinks persistent and ever growing social presence. MJLinks is active on many social networks so our reach is varied. The largest network specifically geared towards the 420 community is MASSROOTS, and MJLinks is the largest business account with 48,000 followers and counting! MJLinks.com is currently offering a limited number of positions in our directory for high qualified marijuana, alcohol, DUI, or other specialized legal services geared towards the marijuana community. The cost is very reasonable and discounts are available for longer subscription terms. Mjlinks.com reserves the right to reject a link for any reason at our sole discretion. To date we haven’t rejected one yet!. Just try to insure that they are relevant and legal. 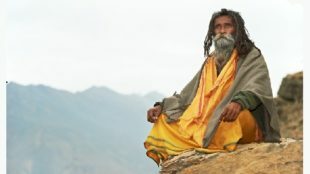 The Sadhus of India and their forever Companion: Marijuana. Ganja Yoga: A Synergistic Union of Two Healers? Marijuana and Trump – Will they live happily together?